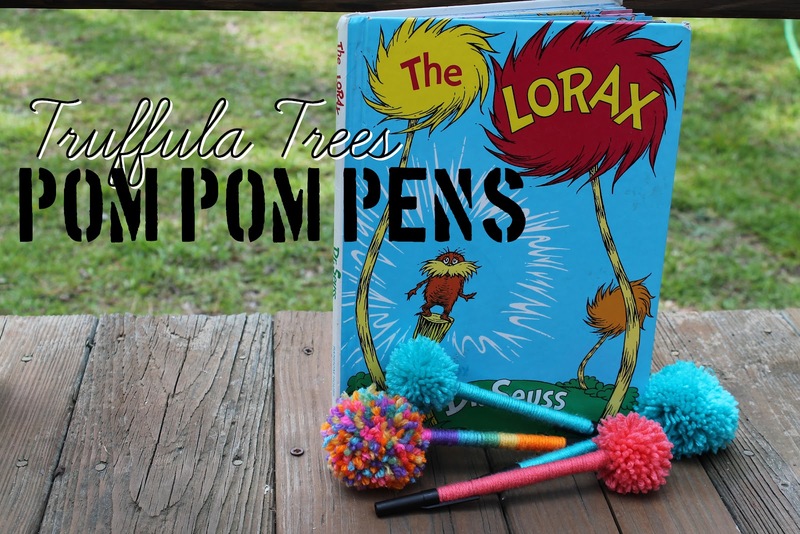 We decided to make Truffula Tree pens too! 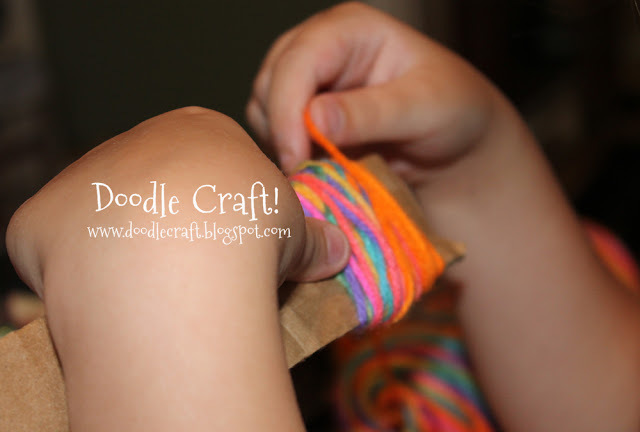 but with brightly colored yarn! 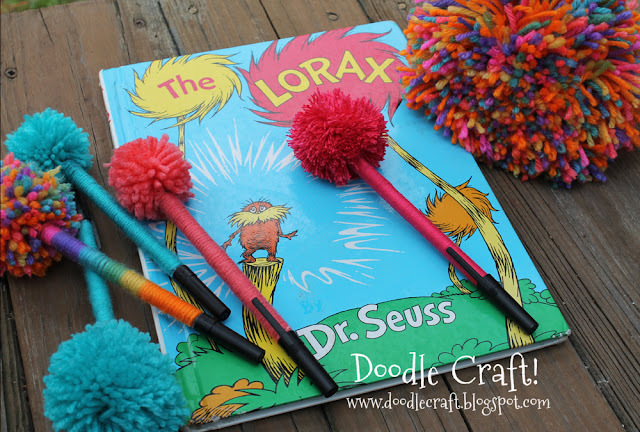 These would be ultra cute-astic at a Dr. Seuss Lorax themed party! 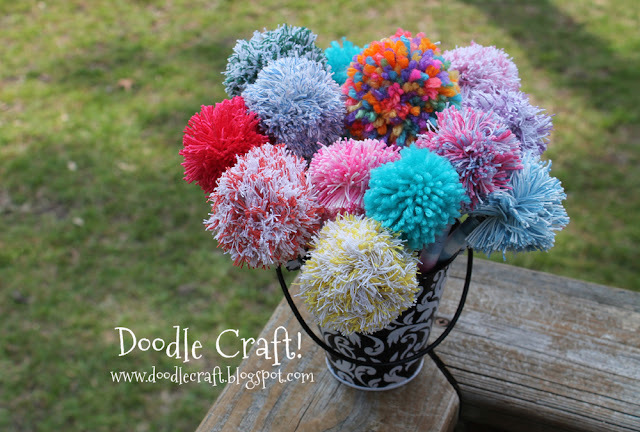 I let my 8 year old daughter wrap as many pom poms as she wanted! then had her fluff the pom poms! She was in 'Helping Heaven'! 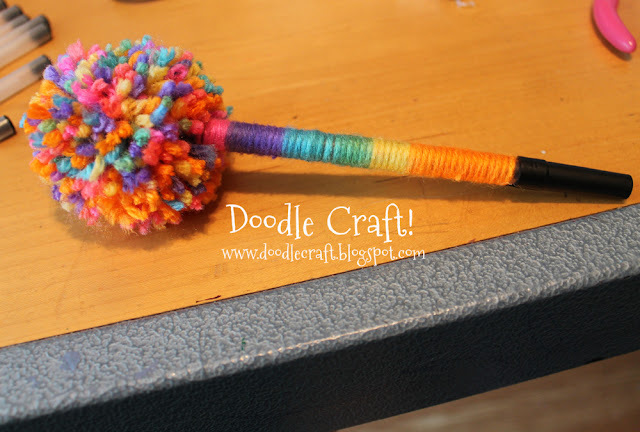 yarn down the pen and let her finish it off! 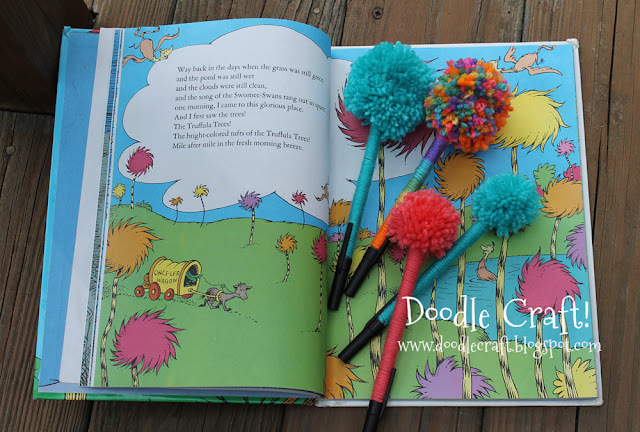 Great gift ideas--cute to top off a present like a bow! how did you glue it on the bottom? I love the ombre colored yarn. Which brand did you use? 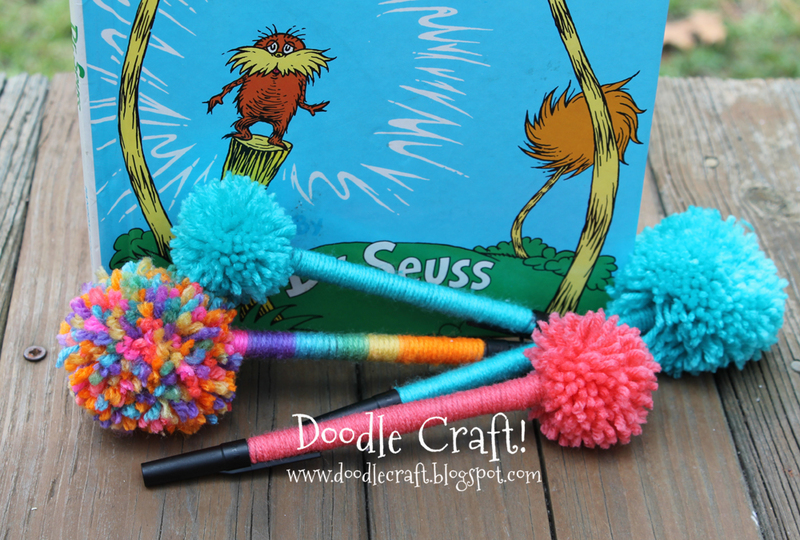 How do you make the pompom? I don't fully understand.